Despite the nonsense that comes from Oprah’s benign (?) pulpit, all roads are not radii that lead to God and Heaven. Instead there will be a Fork in the road. It is this bus ride that will take you to that juncture, albeit through fantasy. 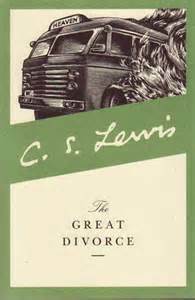 Lewis’ The Great Divorce is the bus ticket; the Choice is before you. Yesterday, a beautiful first day of autumn, I seized a day off from work for a field trip with the rector and some friends from our church. Our group visited the Marion E. Wade Center Center at Wheaton College in Wheaton, IL. I was very excited to be able to handle a small book offered to me by the Kilby Room archivist. The small book owned by Lewis, which title I cannot presently remember, was on the nature of the Italian civilization. The book bore Lewis’ signature and marginalia! 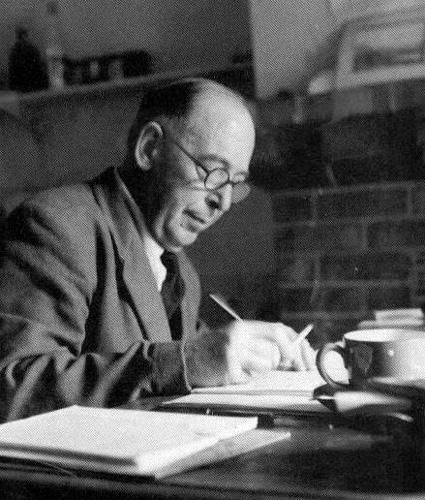 The inscribed book and his desk are the closest I would ever come to C. S. Lewis. Touching the firm reality of those things I felt transcendent as well – a touchstone moment for me. Information about the Rabbit Room, the Eagle and Child Pub and the Inklings can be found here: click here. Here is a small excerpt from John Piper’s book Don’t Waste Your Life. This passage relates Piper’s first encounter with C.S. Lewis’ writings. It perfectly describes Lewis as a “romantic-rationalist”: poet-novelist & intellectual apologist, both Upper Story and the Lower Story in one person. It is no wonder I seek to emulate the life of one C.S. (Jack) Lewis! 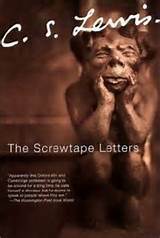 “Someone introduced me to Lewis my freshman year with the book, Mere Christianity. For the next five or six years I was almost never without a Lewis book near at hand. I think that without his influence I would not have lived my life with as much joy or usefulness as I have. There are reasons for this. He has made me wary of chronological snobbery. That is, he showed me that newness is no virtue and oldness is no vice. Truth and beauty and goodness are not determined by when they exist. Nothing is inferior for being old, and nothing is valu¬able for being modern. This has freed me from the tyranny of novelty and opened for me the wisdom of the ages. To this day I get most of my soul-food from centuries ago. I thank God for Lewis’s compelling demonstration of the obvious. He demonstrated for me and convinced me that rigorous, precise, penetrating logic is not opposed to deep, soul-stirring feeling and vivid, lively—even playful—imagination. He was a “romantic rationalist.” He combined things that almost every¬body today assumes are mutually exclusive: rationalism and poetry, cool logic and warm feeling, disciplined prose and free imagination. In shattering these old stereotypes, he freed me to think hard and to write poetry, to argue for the resurrection and compose hymns to Christ, to smash an argument and hug a friend, to demand a definition and use a metaphor. Lewis gave me an intense sense of the “realness” of things. The preciousness of this is hard to communicate. To wake up in the morning and be aware of the firmness of the mattress, the warmth of the sun’s rays, the sound of the clock ticking, the sheer being of things (“quiddity” as he calls it). He helped me become alive to life. He helped me see what is there in the world—things that, if we didn’t have, we would pay a million dollars to have, but having them, ignore. He made me more alive to beauty. He put my soul on notice that there are daily wonders that will waken worship if I open my eyes. 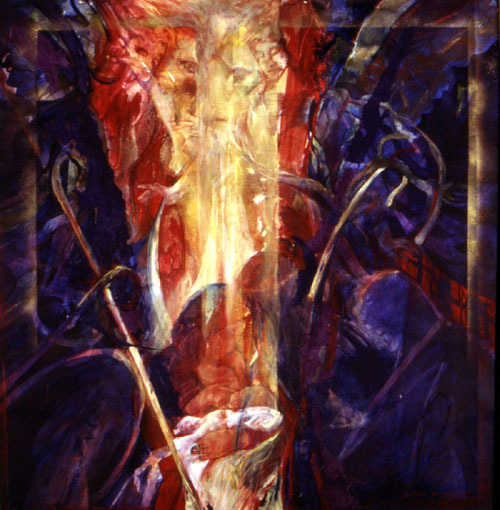 He shook my dozing soul and threw the cold water of reality in my face, so that life and God and heaven and hell broke into my world with glory and horror. He exposed the sophisticated intellectual opposition to objective being and objective value for the naked folly that it was. The philosophical king of my generation had no clothes on, and the writer of children’s books from Oxford had the courage to say so. I will never understand why the Bible/Baptist churches teach that the communion wafer and grape juice are just symbols or tokens of Christ’s sacrifice and not the Real Presence of Jesus Christ. It is these same churches that preach that Christ dwells within the believer. Why cannot that same Christ dwell in the bread and wine? The Holy Spirit came down as a dove. And, God moved His people with a cloud and pillar of fire. Manna. The burning bush. The Temple. These all were obviously physical manifestations that required the eyes of faith to rightly see that God was in them. The same applies to the bread and wine. (Flannery) “O’Connor was often critical of what she considered Protestant shortcomings. “A Protestant habit is to condemn the Church for being authoritarian and then blame her for not being authoritarian enough”. She had a healthy respect for fundamentalist Protestants, and she was alarmed at the liberal theology she heard coming from some Protestant camps. 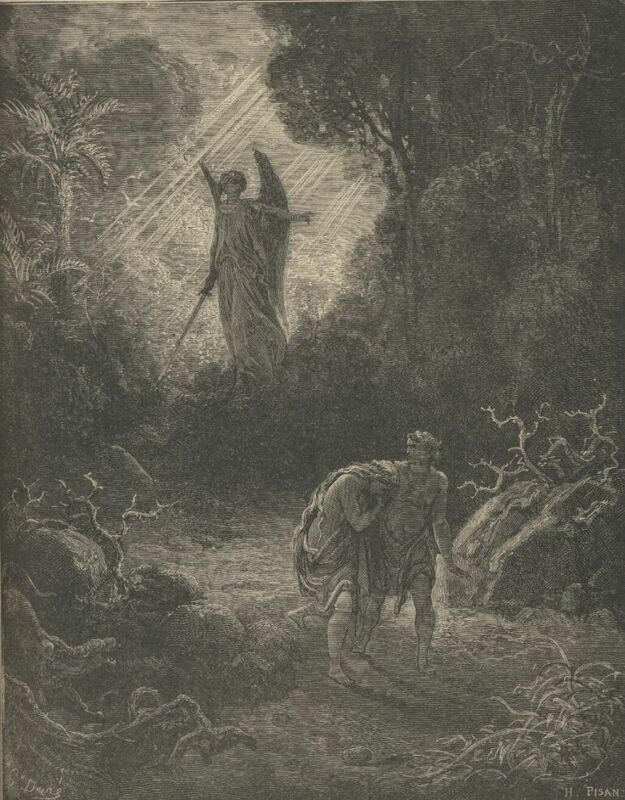 “One of the effects of modern liberal Protestantism has been gradually to turn religion into poetry and therapy, to make truth vaguer and vaguer and more and more relative, to banish intellectual distinctions, to depend on feeling instead of thought, and gradually to come to believe that God has no power, that he cannot communicate with us, cannot reveal himself to us, indeed has not done so and that religion is our own sweet invention”. She understood the difference between cheap grace and costly grace. “What people don’t realize,” she wrote to Louise Abbot, “is how much religion costs. They think faith is a big electric blanket, when of course it is the cross”.”From this web page.